Peak Rambler's Ramblings....: 2018 A Poignant Centenary Year & Milestone Half Century! This year, we remembered the fallen, the end of the The Great War, or more commonly known World War I a century on, 100 years 1918-2018! Those maimed or who killed during four horrific years of war. Even worse, some serving men and women never returned home, some in unmarked graves, some never found, some as unknown soldiers of the Great War! Many shot at dawn, because of the horrors they saw! Many withheld stories of horror, torment and fear, never to be told. Today, we recognise it as Shell Shock, or using the current term Post Traumatic Stress (PTSD), which is a very real thing, and it can hit anyone at any time, and in any of many forms. As I do every year, I watched the Remembrance Parade, watching the old soldiers, ex-naval and airforce personnel, along with many other organisations, military and civilian, walk past the Cenotaph, along with the Festival of Remembrance on the night before, and listen in awe to the stories told, not just of those serving, wounded or killed, but their families, friends and other acquaintances also affected by the travesties of war. 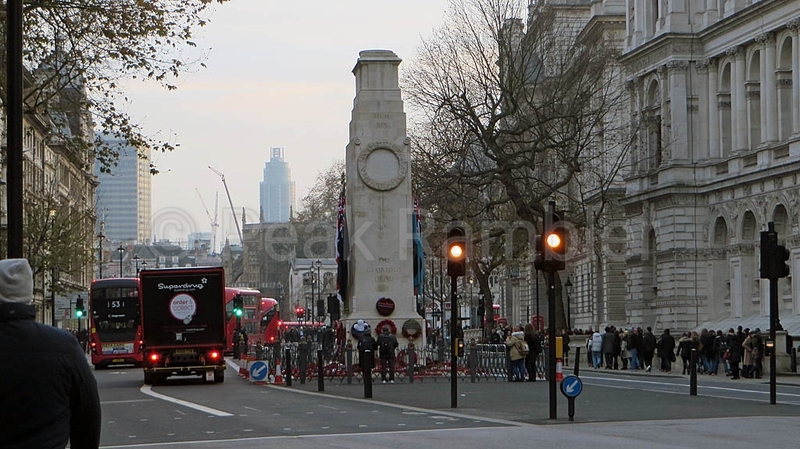 Digressing slightly, though relevant, did you know Cenotaph is from the Greek word kenotaphion meaning ‘empty tomb’? Also those civilians, again those bombed out of their houses, factories or know of those who have been bombed out of their houses or factories. Something which still goes on today in many parts of the world! I was born a little over two decades after the outbreak of World War II, during my childhood I have met many who served in that war, and also known a few from the Great War, now called World War I.
I recall playing on former WWII bomb sites, many of which are now modern developments and the devastation well and truly buried. So for me, it’s relatively easy to appreciate some (but not all) of the horrors from WWII, and indirectly to WWI as well. For the younger generations, being so distanced in time from WWI and WWII, along with the fact that subsequent wars and conflicts have not encroached on to home soil, so it will be a lot harder to relate to the horrors of war. Or has it! I have known some serving personnel from the Falklands and more recent conflicts, Bosnia, The Gulf War, Iraq and Afghanistan to name just a few. History you can’t change, it’s happened, however, we need to embrace it and learn so we can move forward, so perhaps we should embrace teaching about the two world wars as part of history lessons and hope future generations will understand some of the horrors our forefathers endured, along with learning the easy way and promote peace. While I know we don’t remember the wars previous to the Great War, but during the Edwardian era, society was rapidly becoming more civilised, and while all wars harbour atrocities, the Great War, now known as World War I, was probably the first big hit at civilised society as we know it. 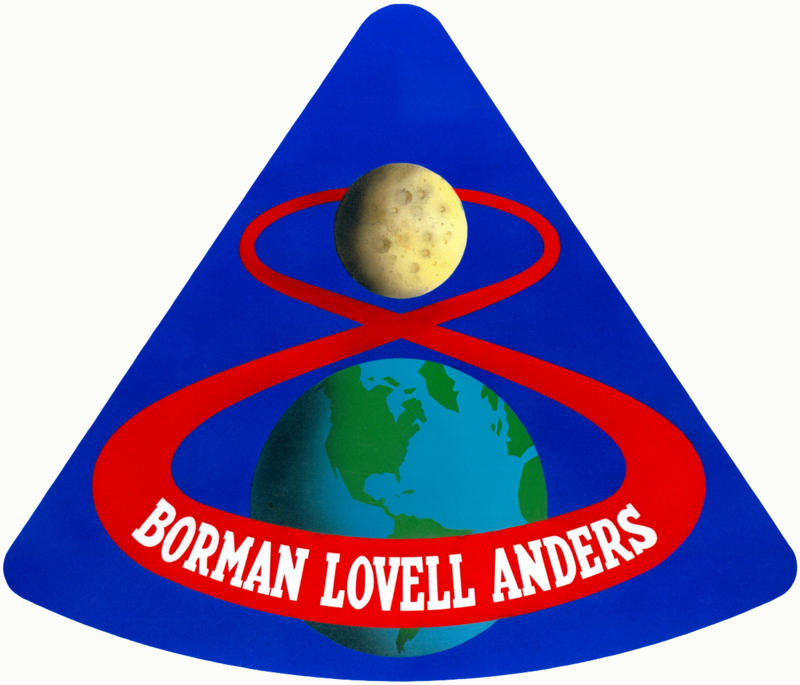 There is another anniversary this year, fifty years ago, 1968; Apollo 8 was the first manned mission to leave Earth’s Orbit and orbit around the moon, taking six days to complete its mission. While to younger generations, it may seem minor, back then, that was one big leap in the space program, along with the accuracy of the route taken, especially when you consider that the Saturn V rocket had far less computer processing power than the first mobile phones had, that was for its day, some feat! Then; seven months later, July 20, 1969; Apollo 11, man set foot on the moon for the first time. “That’s one small step for man, one giant leap for mankind” (the famous quote from Neil Armstrong as he set foot on the moon for the first time); completing a national goal set by President John F. Kennedy in May 25, 1961: for man to set foot on the moon and return safely to earth by the end of the decade. I know there are lots of arguments set out to disprove that man walked on the moon, stating that is was set-up, faked and studio enhanced, for a multitude of reasons. but I firmly believe it actually did happen. Why? It was the height of the Cold War, Russia and America were flexing their muscles to show the prowess of each while restraining from using nuclear warfare, and the Space Race was one of many ways the two superpowers of the day flexed their muscles. Remember one important factor: The Cold War as with any opposing sides, each will be watching the other like a hawk, looking for the slightest momentary weakness ready to pounce! With that in mind, Russia would have been tracking every space mission, and any hint of fabrication would have shown weakness, and I’m sure they would have made it known that they knew the truth. After all, Russia had to back down during the Cuban Missile Crisis of October 1962, so there could be potential to get revenge….. So that is why I believe it actually happened. Of course, I could be wrong…. But think about it…. The Cold War Cuban Missile Crisis of October 1962 The Space Race A bit of trivia for you, how often have you heard the term for a successful job, the words: “The Eagle has landed”? That came from one of many famous phrases used by Neil Armstrong, Apollo 11 commander, once the Lunar Module code named Eagle, had successfully landed on the moon’s surface. There are many more anniversaries this year, some milestone anniversaries, too numerous to mention. The NHS, our wonderful National Health Service celebrated it's seventieth birthday back in July this year. Without the fabulous work of our doctors, nurses, surgeons, radiographers, lab-technicians and a great many more staff within our NHS, I wouldn't have the support and medical care that I needed, and still need today. When I see some of the work these highly skilled people do, they are a gnats whisker away from being miracle workers. 2018: a year of contrasts! What a year of contrasts, it seemed for the first part of 2018 was wet, cloudy and at times we were almost requiring webbed feet! Then, almost overnight the weather changed, then for around six weeks we were under the threat of a drought, with a heatwave and record temperatures! And guess what, once September started, it seemed we were back to the cloud, rain and not normal temperatures that September usually enjoys. 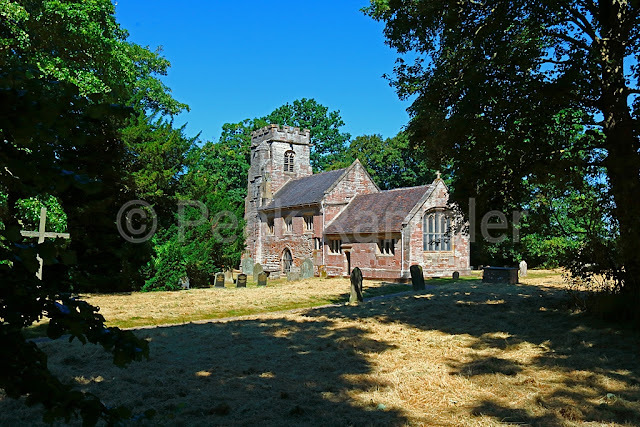 We never really had the Indian Summer that we enjoy in September, though the end of the month did warm up, a little, during the day, and the sun did make an appearance for a few days, so perhaps that was a token Indian Summer…. I can see 2018 as being a year where weather records are set, with large contrasts in the weather we experienced along with extremes (by UK standards) from one end of the scale to the other…. I won’t comment too much on climate change, though I do have a view in that Climate Change is a very real phenomenon, it has been with planet Earth since it's creation and will stay until the demise of planet Earth. After all; we’ve had two ice ages, there is no reason why planet Earth can’t have a third. However, I will say we DO need to look after the planet, it is a fragile environment and becoming more impacted every day. Not just in developing countries, but also in the so called developed countries, the countryside is being devoured for housing and other enterprises at an alarming rate. To help curb pollution levels, and maintain an environment to live in, we need to seriously curb countryside development, not just in the UK, or Europe, but worldwide, particularly the developing countries, like South America, and others. We need nature and nature needs us. I wasn‘t going to write an end of year review for this year, mainly because not a lot progressively has happened, and most definitely nothing outdoorsy, or positively newsworthy. However, it has been suggested that I keep some communication open for those who are interested and do ask about my wellbeing. So here it is, along with some photos I’ve taken throughout the year. Not a lot has changed over the last year, it seems I’m very much in a state of limbo and the general consensus seems to be I’ve reached the best of my mobility. I’ve plateaued out and I’m struggling to come to terms with this, as someone who has been so independent all their adult life, suddenly being very reliant on others, who unreservedly, do their very best to support and assist me. Walking is still very painful, some days worse than others. It can be so bad some days, I often feel amputation would have been a better course of treatment, but then I feel guilty, because a lot of people have spent a lot of time trying their very best to repair the damage done, and many still are helping and supporting me as my recovery is still ongoing. Amputation is not what the media portrays. While we see amputees competing in events and others managing to get out, what we don’t see is the bad days, when the limb isn’t able to support the prosthetic and they are reliant on support from those around them. It isn’t a case of just getting up and walking, there is a lot involved in getting to the stage of learning to walk again, because the prosthetic doesn’t work like a normal leg, it needs to be propelled, moved physically in to the position to take a step…. My lower right leg is still very swollen, for which I’m receiving ongoing treatment for in the form of specially made compression garments, and the skin still breaks out from time to time, and still has a long way to go. 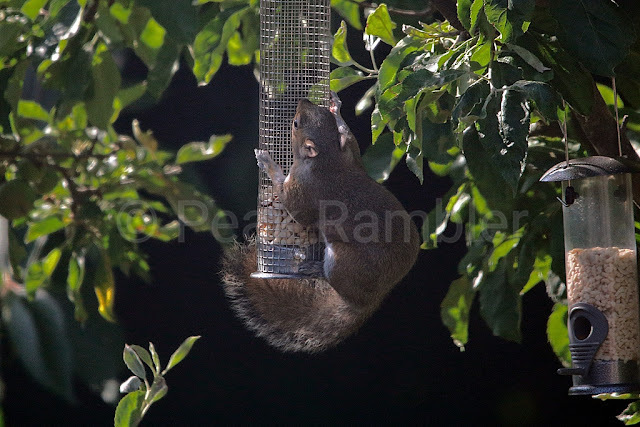 Not one of my better photos, one of the many grey squirrels that frequent the garden. As some of you will have guessed, I’ve had quite a tough year and I’m trying hard to rebuild what I have left. I mentioned Post Traumatic Stress earlier, it can hit anyone at any time, and in many forms. There are times when I find it hard to talk about many aspects of my situation, often shutting it away in a dark corner of my mind, in hope it’s just a bad dream and I’ll wake up and it’ll be all ok. But the reality is; it’s still there, it isn’t going to go away. My dignity has been taken away from me, along with my independence. Though I have looked at less conventional options to alleviate things, but possibly more on that at a later stage. With help, I’ve managed to release in a controlled way some (not all) of my emotions. That was after an event, which still scares the life out of me today, when out of sheer frustration, I thumped a stone-dashed wall! The thought that I’d got to that stage, when normally I’m quite placid, the fact I got to that stage still scares me today. If it wasn’t for the fact I was at home alone, who could have fallen victim to that outburst! 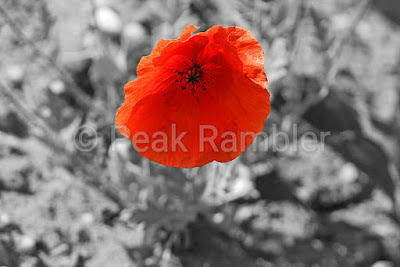 Remember those soldiers from WWI, and many from WWII and more recent conflicts, who never told their stories? Some had violent tendencies… Some shut themselves away…. Some ignored it and tried to move on…. Some had all the above and more…. I wasn’t at war, I wasn’t on a horrific battlefield….. Even today, I still have flashbacks which disturb my sleep, but not of the accident itself, the possible outcome, which takes the form of a nondescript black lorry in the dark heading for me! Why? Probably because that was the thought going through my mind as I lay in the middle of a busy dual carriageway not long after 06:00 one dark February morning. I’m still nervous about crossing any road, and often more hesitant if a motorist displays any uncertainty (which is a very commonplace event with many motorists lacking driving skills) as they approach where I’m about to cross. I’ve not yet tried to cross a busy road in the dark, mainly because there hasn’t been a need, so that is yet to come…. We all set goals for ourselves, the vast majority are achievable, and are met successfully. When that happens, we give ourselves a pat on the back, a treat or whatever. What becomes hard to accept is setting what you hopefully deem sensible goals and never manage to reach them! This has happened a few times, and towards the end of 2017, when all achievable goals were met, that was it. Before we go any further, I wish to make it very clear, my employer has been, and still is, very supportive. They have gone over and above in my rehabilitation back into the workplace, for which I cannot thank them enough. 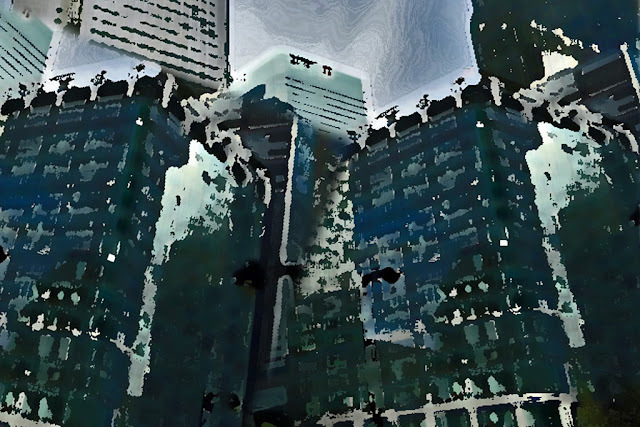 I’d returned to work, after a few months on a phased return, where constructively as agreed between myself and my employer, we built up the hours over a period of time to working a full week with the exception of weekly hospital visits, but my walking had not improved, no matter how much I tried. I’m mobile, I can drive, albeit an adapted car where I have to use a left foot accelerator (often called ‘Transposed Pedals’, except the brake pedal is not moved from the manufactured position) because there is no real sensation in my right leg and foot to safely use the pedals in a conventional manner. Why did I choose left foot accelerator? Because most modern cars have a multitude of controls on the steering wheel and the column, so hand controls would only add to the network of controls already there. If you’re wondering, yes I did take tuition before getting my first adapted car, because I know, as I’m sure you would guess, the carnage that would ensure doesn’t bear thinking about. I visit some RSPB Reserves, and during the winter months, with my outdoor knowledge, would carry some small emergency rations, a headtorch and a couple of glow sticks, just on the off chance I may get delayed. The only differences between the reserves and the hills is, I have mobile phone coverage and access would be generally a lot easier. As I mentioned earlier, I’m still struggling to accept my circumstances. I guess it’s akin to someone going through a midlife crisis and still thinks they can do the things they did at eighteen! I know I’m damaged goods, that part has hit hard. There are days when the pain and swelling, not always both occurring together, would be so bad, that getting out and about is not an option, except, on work days. I aim to keep my work attendance record as good as it was pre-accident, so that my employer feels that the extra they’ve done to rehabilitate me back into the workplace has been worth the effort. I feel very guilty having to be so reliant on others (I’ve no option but to be dependant on these very good people), even though in the past, some of them were reliant on me, something I was always happy to oblige without any question, and I know these people are more than happy to reciprocate the support. My reliance is something I would have expected in thirty or so years time, not today, but is definitely something I need to learn to accept, for it will make me seem ungrateful if I’m not careful. I was close to deleting my Twitter account earlier this year because of how Twitter is trying to manipulate its users. There’s too many gimmicks which just clouded genuine posts, and for me took the pleasure out of using what was once a good medium for communicating with other people. To delete the account would be a great shame, because I have a lot of very good friends out there, who share a lot of fabulous photos and stories of their activities, so I decided for now, it was best to give it a rest and return at a later date. I was saddened to read that the creator and owner of Social Hiking has had to review how the site is run. I do understand his reasons why and I sincerely hope Social Hiking continues, for it is a good place to view, share and explore routes that other people embark on. I was also saddened to read that a friend, one of many who I’ve walked with, had to drop out of the 2018 TGO Challenge due to plantar fasciitis, which can be very debilitating, and I share that person’s frustrations and emotions. I was pleased to hear that particular person has made some progress and is getting back out to the hills and moors, and I hope things are now under control. 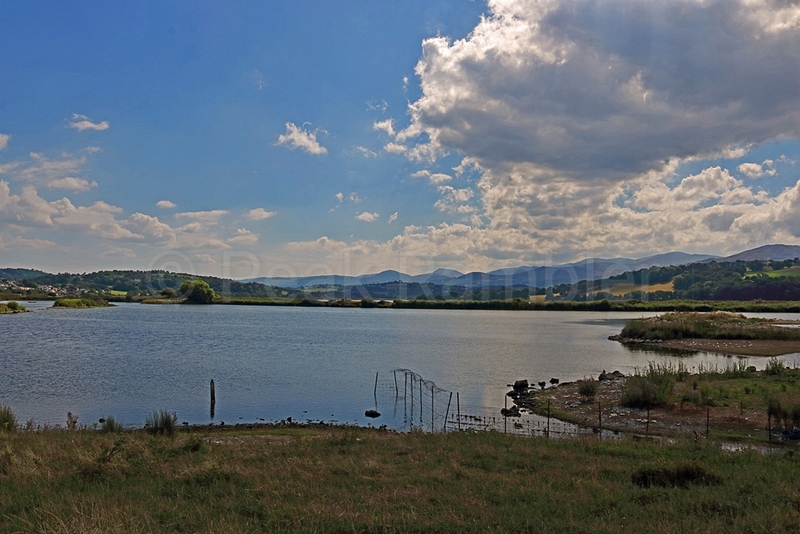 Whatever, it’s great to see your photos again of the countryside I so dearly miss. I’m not one to judge anyone’s pain, because some of the silliest of injuries can cause more physical pain than bigger ones, take the simple little paper cut? Yes, we’ve all had those paper cuts, even though it’s not really debilitating, it does hurt, a lot, especially when you accidentally catch it (something we all have that uncanny knack of doing), and it always seems to be on a pressure point…. Just because I’m still unable to get on to the hills and moors, doesn’t mean others shouldn’t, nor does it mean they can’t share their experiences with others including myself. I still do read lots of blogs and view photos posted from those who share their outdoor activities. I’ve also heard of another person who I’ve had the honour of walking with, is to donate a kidney. I sincerely hope all goes well for both my friend the donor and the recipient. There is one person, who has a loveable cheeky character about him, Dale Bird, who keeps a light-hearted blog; “Dales minimalist blog”. Dale, keep those blogs coming, I enjoy reading your brief witty comments and seeing your photos. 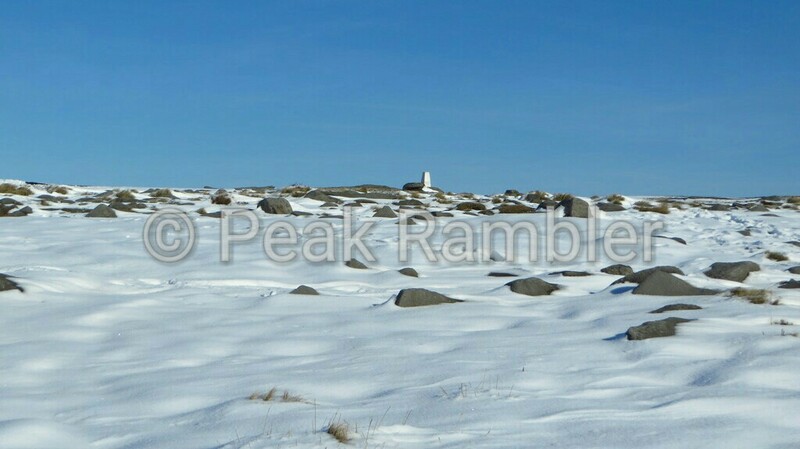 One of the managers at work, who I know very well, has taken to hill and moorland walking. He was hesitant to ask for advice for fear that I may not take to sharing my knowledge. He soon found out I was all for helping, (and viewing his photos) where I can. I told him not to hesitate to ask questions or share experiences, I’m only a phone call or email away at the furthest. He’s taken me up, learned a lot, upgraded his kit accordingly, especially after reading a copy of my What’s in my pack? blog, and more importantly, taken courses to improve his navigational skills to the point when on one occasion, he was put on the spot in a ‘properly controlled and organised’ competition organised through work, with a team where the original navigator went sick, so this manager had to take control of the navigation and managed to bail out successfully, using map and compass. It’s a fabulous and fragile environment out there, not least after some of the large moorland fires we’ve endured this summer, and a lot of it will disappear very quickly if as a race, we carry on the way we are doing, and don’t treasure, preserve and enjoy it. As I mentioned in Peak Rambler’s Ramblings; Where to next? I am very fearful for the future of our countryside and with people getting out there, walking and enjoying it, that will go a little way to preserving the countryside a little longer. 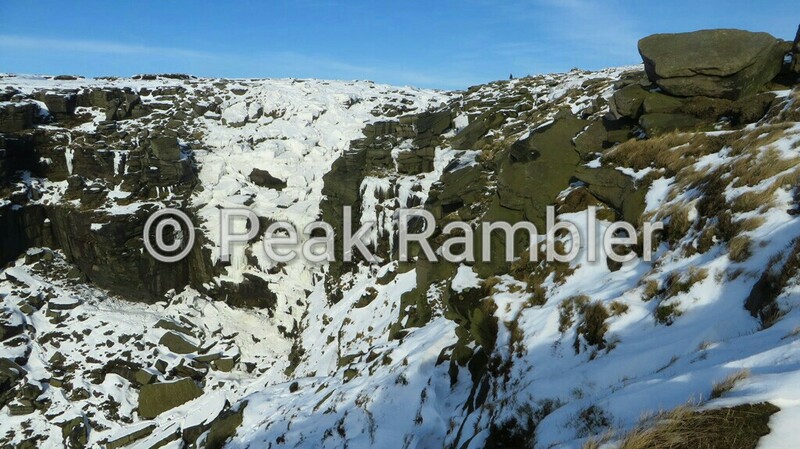 However, there are some sharing platforms out there which for now, have retained a good sensible level of privacy options, one such is my online photo album, Peak Rambler on Flickr. Things have been very tough this last twelve months, for a large variety of reasons, and not looking like get any easier through the coming year. However, the support I’m receiving, from family, friends, work, the hospital and many others too numerous to mention, is second to none, so I am just about managing to soldier through. But one thing that will not change, how I miss the hills and moors, the beauty, the tranquillity and at times, the solitude and ability to relax in peace with nature. Also, something that was (still is) very novel to me, winter hill-walking, where ice axe and crampons are required. Some of you may wonder why I say novel? Back in 2009 I attended a Winter Skills course, to learn how to use an ice axe and crampons safely, so I could achieve a long term dream, winter mountaineering. As most folk will be aware, generally in Britain, with the exception of certain parts of Scotland, Wales and Northern England, suitable snow conditions are not a very prolific event during the winter, along with the ability to visit these areas while maintaining a job of work and being a family man, making the opportunities very novel. When we do have suitable snow walking conditions, they are very often short-lived, which enhances the novelty of full on winter mountaineering conditions, because you know you’ve got to make the break, it’s just finding the right time. probably one of the best winter walks I've done. Incidentally, for those who are considering winter mountaineering and haven’t done one of these courses, I strongly recommend you do. It may be expensive, but what you take away with you in knowledge and skills is priceless, along with the experiences (hopefully safe and enjoyable ones) that follow. It’s hard not to be negative, but the fact is, while I’ve been dealt a duff card, there are who are others worse off. I’ve mentioned before, the young lads and lasses from our armed forces who are amputees, sustaining life changing injuries and much more. amputees, sustaining life changing injuries and much more. There’s the two girls from the Alton Towers tragedy, so I’m not alone, but it’s a tough old world out there and even tougher if you weaken. So, what of 2018? I miss the hills and moors, a lot. While I’m not able to get out on to the hills and moors, I do manage from time to time (but not as often as I’d like) to get out and enjoy my second hobby, photography. My main subjects evolve around landscape and wildlife. 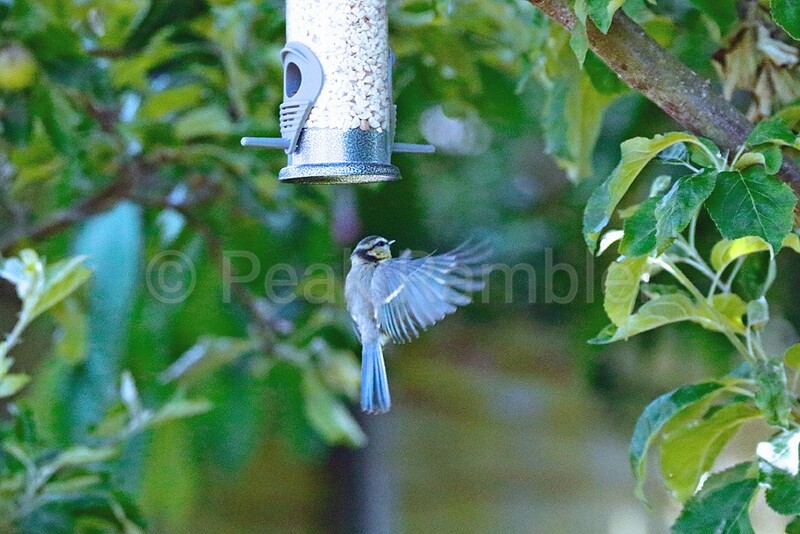 Photography is a hobby that can be incorporated into many hobbies. 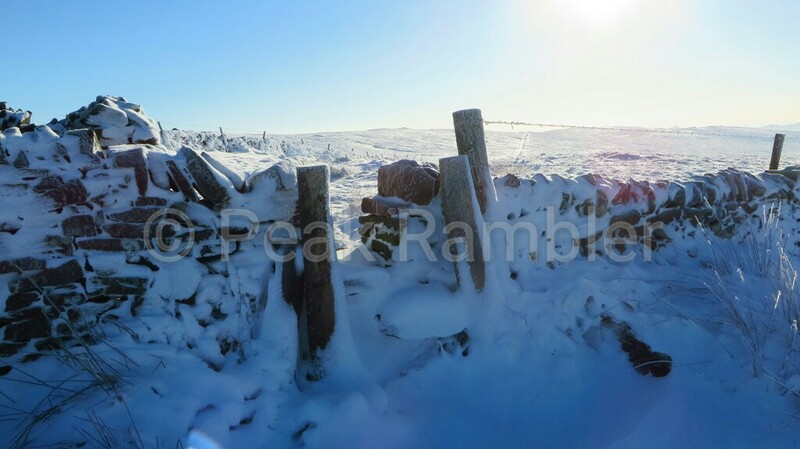 I took a lot of photos while out hill and moorland walking, many of those photos are still open to view on my Peak Rambler Flickr pages. I store photos in albums, which was previously around an activity I’ve embarked on, though since my accident, because my activities have been somewhat curtailed, to break them up and make viewing and cataloguing straightforward, the photos have been arranged in to calendar months. However, you can view my photos as a Photostream, which enables you to scroll through the photos from the latest through to the oldest. 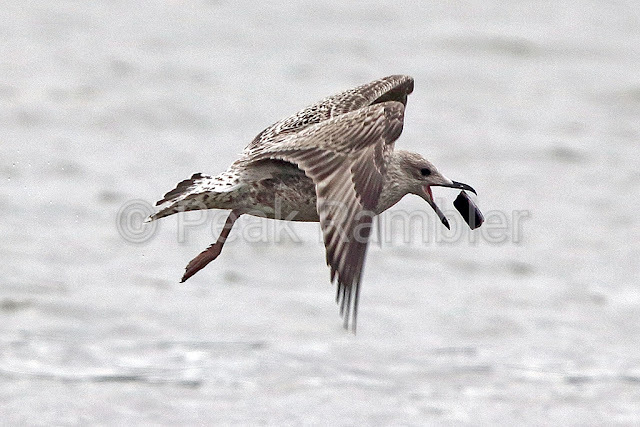 Just a little bit of a warning, there are a lot of photos to view…. The time I spend out there, is painful physically and mentally, but it’s good to get out, often only for a short period, and enjoy the outdoors, what nature has to offer, and share what nature has to offer with those who wish to see, but painful mentally not being able to extend my limited walking capacity to something longer and closer to what I was able to do pre-accident. Though it does help to take my mind away from my situation, I’m soon reminded of how things used to be, and how different they are today, with a future not looking much better, a future I’m not relishing. I have considerably improved my recognition of birds, butterflies and moths, and also captured some fascinating scenes, even if the quality of some of the images leaves a bit to be desired…. 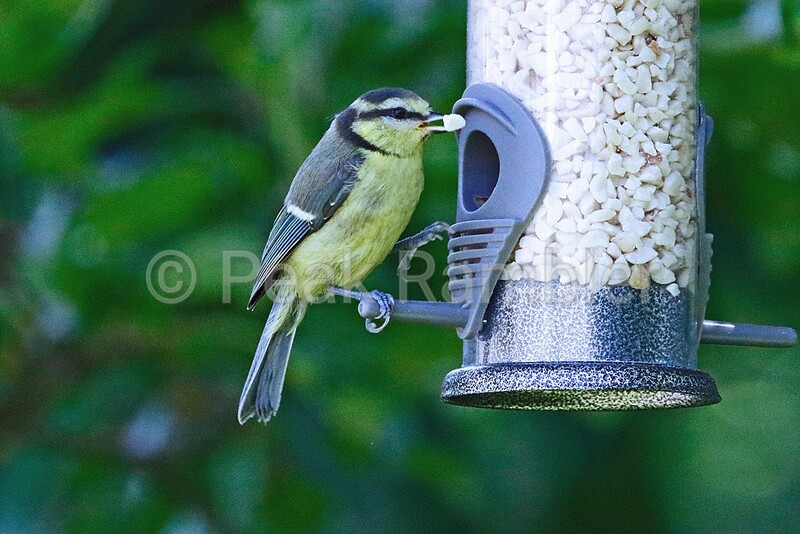 Many of those poorer quality images of the garden, where birds, and in some instances, squirrels, feeding in the garden from the feeders, or even the ground have been taken through the kitchen window, in low light conditions, but the moments captured were worth it. The summer we’ve just had, for me, it was very reminiscent of 1976, that long hot summer, the hot, sunny and testosterone fuelled carefree days, with drought warnings and in some places, water had to be collected from standpipes in the street, as I leave school to embark on my adult life. The ladybird plague of 1976, among many things that would have appealed to teenagers of my generation back then, the Radio One Roadshow with its ‘Bit n Pieces’ competition, opening with the chorus line from the Dave Clark Five hit “Bits and Pieces”, to start a competition where ten contestants from the audience came on stage, they listened to ten brief excerpts of hits that were a selection of oldies or current hits, and had to write down on an answer sheet, the artist and song. Then a record was played while the answers were marked and at the end of that record the winner was announced. Towards the end of the Radio One Roadshow, there would be another competition, the final one of the show, the ‘Smiley Miley- Mileage Time’ where you had to guess the miles travelled from the previous venue to the current venue… All some forty-two years ago….. Am I making some of you feel old! Ok, some of you are genuinely too young to remember those days, but not all of you….. 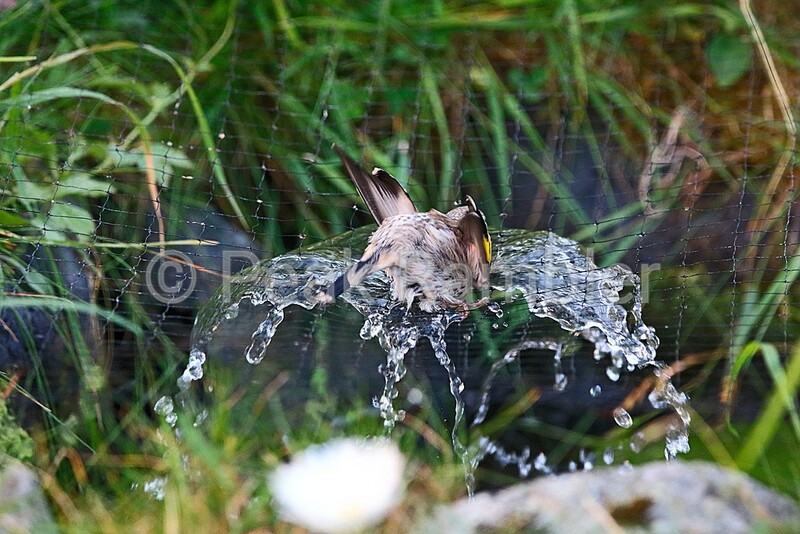 It has been a bit of a tough summer, the heat took its toll on my leg, and of course, nature as well…. However, it did produce some interesting photo opportunities, and one such was a juvenile goldfinch that managed to stand on the net over the pond to stop predators taking the fish, then to stand on head of our pond fountain and drink water! 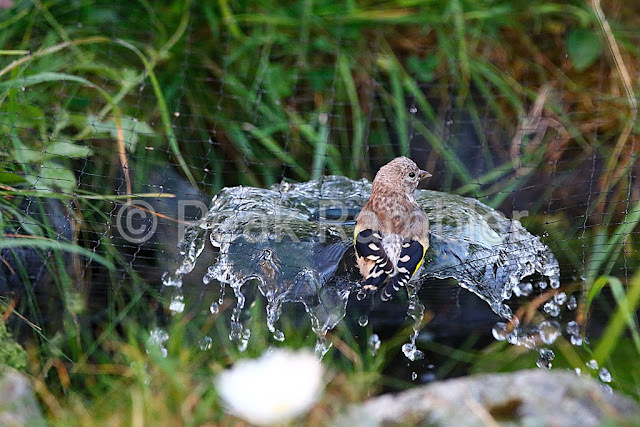 A juvenile goldfinch taking a drink, or was it a bath? 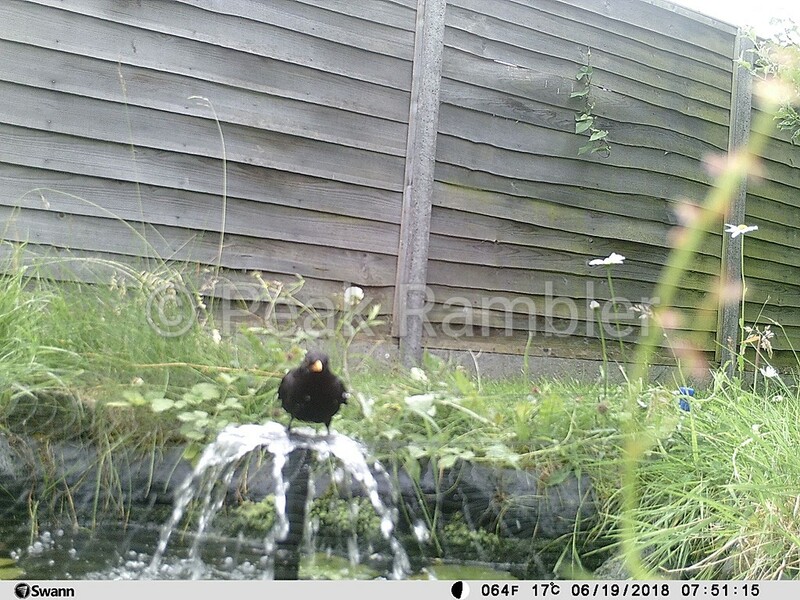 Initially I thought it was bathing, but subsequent monitoring shown it was actually drinking the water from the pond fountain. 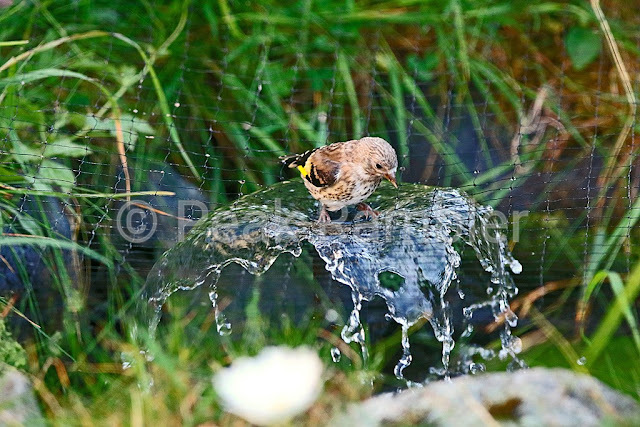 Not only a juvenile goldfinch, but I’ve seen a blackbird standing on the fountainhead as well! It took some time, but I managed to get some brilliant photos of the juvenile goldfinch drinking, achieved by patience, setting the camera up on a tripod and using my mobile phone to remote shoot and get some brilliantly clear photos. 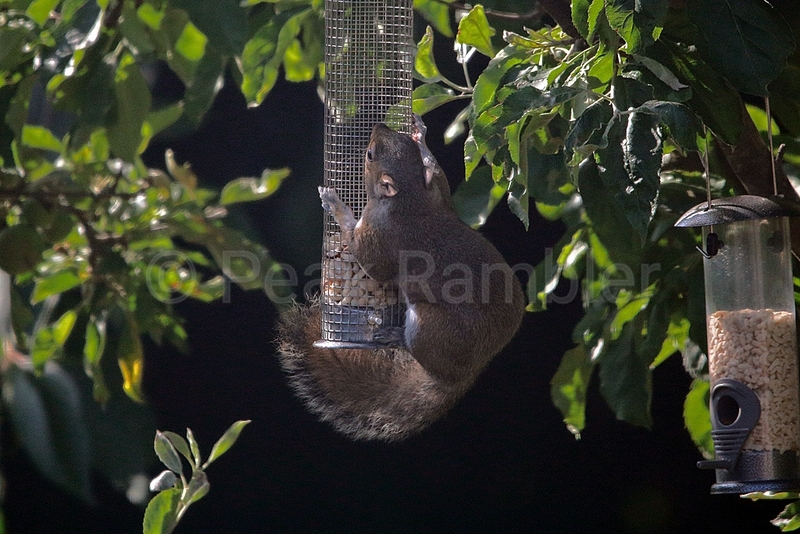 One of the many cheeky grey squirrels that frequent the garden. 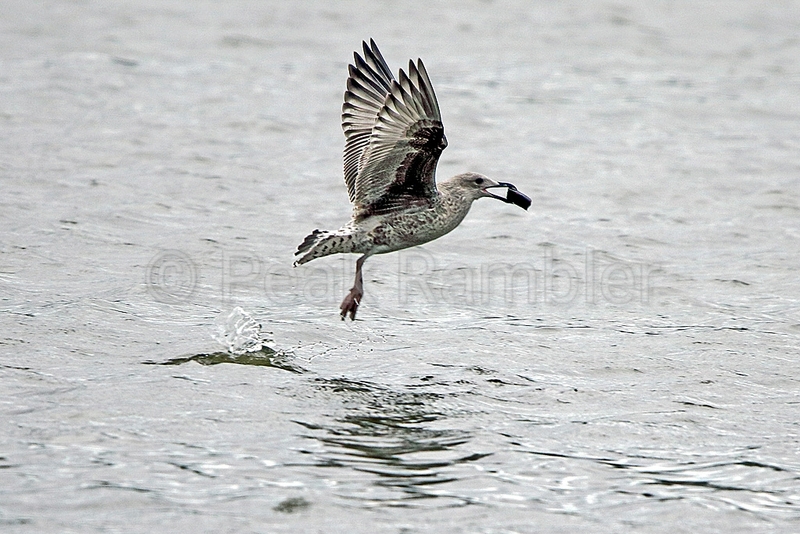 Juvenile Gull taking flight with a stone in its beak! 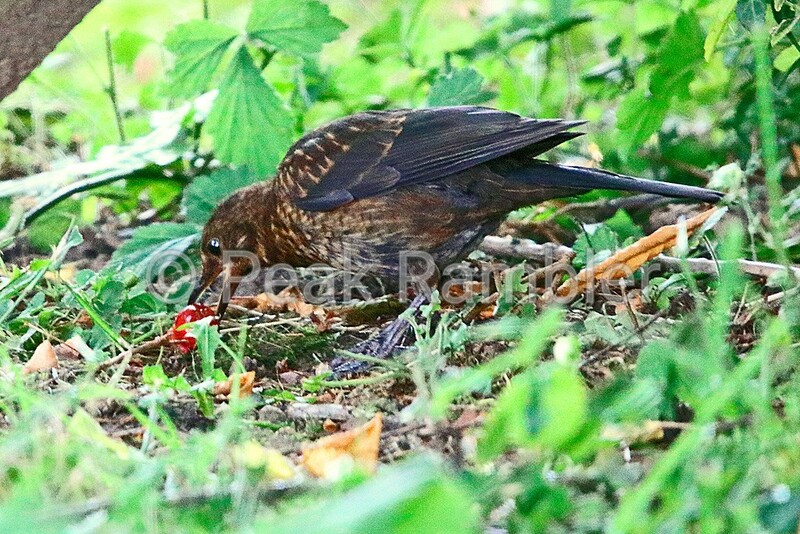 I’ve had various suggestions from people, one was to pick up stones to drop on whatever they might eat, like trying to crack open an egg or shell, another perhaps they thought the stones were shellfish. I’m not so convinced on that last one, but you never know. 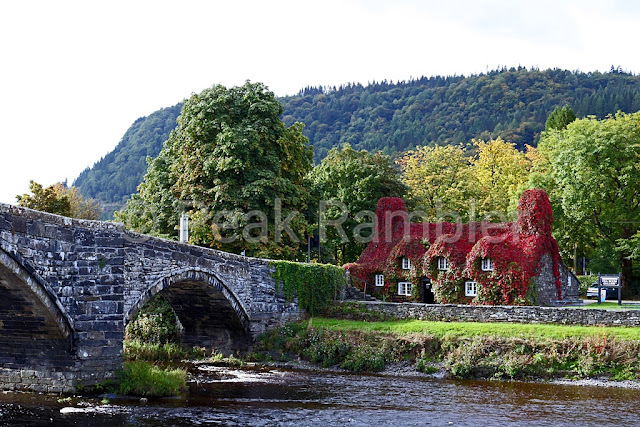 One place I’ve been wanting to photograph for some years, is Tu Hwnt i'r Bont, in its short lived autumn glory, a quaint tea room on the west bank of the Afon Conwy (River Conwy) that flows through Llanrwst, in North Wales, alongside Pont Fawr, the packhorse bridge across the Afon Conwy. ﻿I’ve also set up a garden cam, a Bushnell Natureview, which has delivered some interesting video, not just daytime wildlife activities, but also night-time as well. 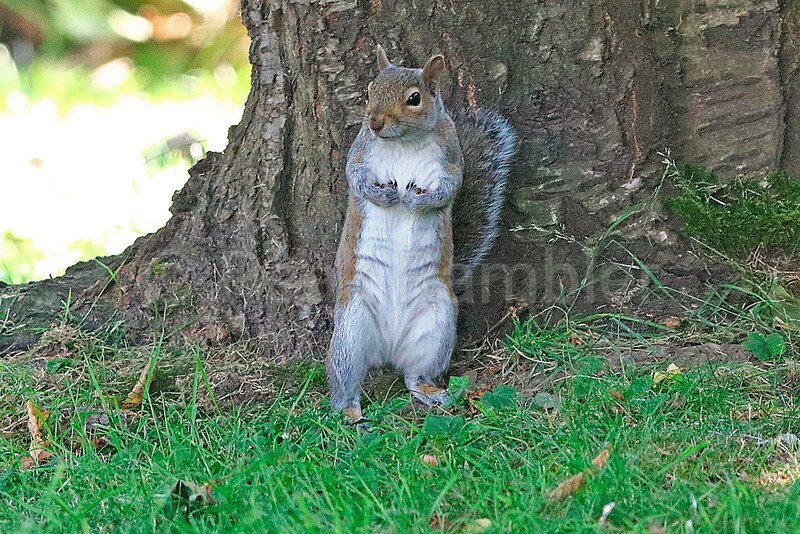 Things like a grey squirrel, with their cheeky and comical activities, hedgehogs visiting and in some videos, one adult and one juvenile hedgehog with the juvenile keeping very close to the adult hedgehog, a juvenile fox, most likely a vixen based on its activities and lack of that pungent dog fox aroma as they territory mark. Then of course, the ubiquitous local feline fraternity that keep visiting…. My plans for the future? I still have no idea…. I’ve stopped making plans a quite while ago, because all previous plans fell before the first hurdle, which was extremely frustrating. I had this dream that I would get out to the hills and moors, but the reality seems to have proved that is purely a dream. Another sad reality, recently at work we had been casually talking about retirement, of which I’m only a few years away from. I had put the foundations in place many years ago, among many things, my love of the hills and moors would have kept me going for a good few years, and when things become too tough a long time in the future, I would have my garden to tinker in as well. All these things are just a dream, and I can’t see any realistic future. There will be a future (I hope), but not the one that I had hoped and planned for, unless, a miracle takes place, which I very much doubt. Keep getting out there folks, keep those footpaths open and enjoy that green space while we still have it, please do continue to share your experiences, I still enjoying seeing your photos and reading your reports. Thank you to all of you for being so patient with me, it really is appreciated, you haven’t been forgotten and you will never be forgotten. There are others who have had various mishaps, some are still off the hills and moors, and some have managed to return. I sincerely hope all manage to get back to the hills and moors and continue to share their wonderful days out. Two anniversaries for 2018 to share with you, our son, Adam celebrated his 21st, which we celebrated in style, especially as my accident happened on his 18th birthday! And finally, Angie (my long suffering wife) and myself celebrated our Silver Wedding Anniversary back in August. She has been a rock and without her, things today would be so much more difficult. I hope Santa brings you the goodies, or kit, that you dream of having. 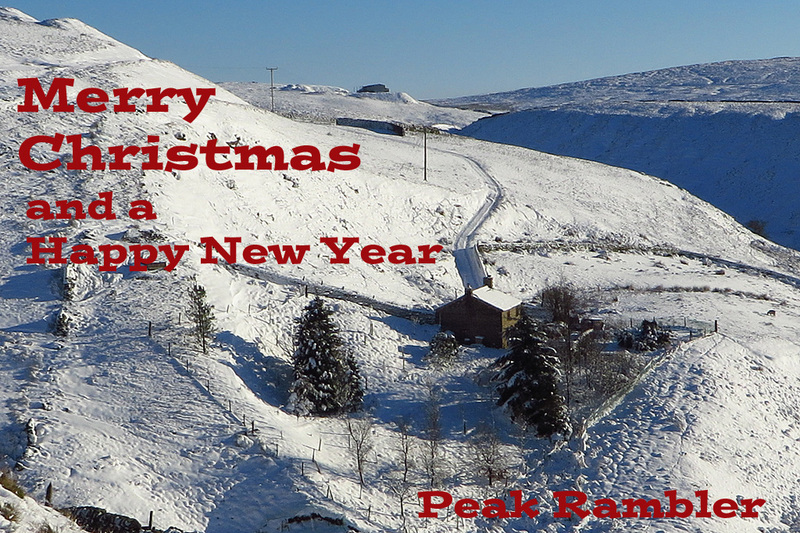 All the very best folks, Christmas is a time of joy, have a Merry Christmas and I wish you all the very best for the New Year. Bleaklow, The B29 Superfortress and I got Bleaklowed! Derwent Moor and those funny shaped stones! © Peak Rambler. Simple theme. Powered by Blogger.